Here is a modern style property that can meet several criteria, completely renovated in 2017 from the roof to the basement. You have a 2 bedrooms apartment at the back of the property with its own private entrance and a beautiful private backyard with river views. On the main floor you find a large reception area with waiting room, 2-piece bathroom and a closed office. In the basement several office spaces, possibility of 8, fully furnished tastefully decorated and already ready to rent. Prime location directly in the village of St-Jacques, with large yard and several parking spaces. Do not miss!! Located in the center of the St-Jacques village, this property needs to be renovated but has a lot of potential. 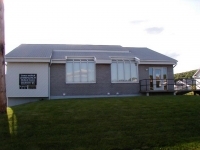 Commercial Building - Medical Clinic. Perfect location for health professionals. There are office spaces, waiting rooms, examination rooms, as well as 3 2-piece bathrooms. Lots of paved parking space and ramp for disabled people. Opportunity to seize! Contact us for more information. 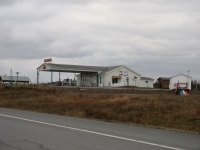 Here is a great business opportunity that includes a large lot of over 42,000 square meters, or 10 acres with great visibility of the Trans-Canada Highway at exit 32, including campground facilities and several small cottages. The building was formerly occupied by a restaurant and convenience store as well as a gas station. Please contact me for more information and details. Property located on the most strategic street for a business, the latter allows you to work directly from your home, since there are 2 apartments adjacent to a commercial space. House Size : 8026 sq.ft. 8,026 sq.ft. 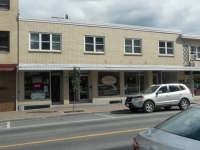 commercial brick building that has been part of the history of Edmundston since 1947. 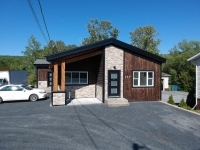 Well located in the downtown business center of Edmundston. Property in excellent condition. For people interested, details of revenues & expenses available at our office. Note: Only the property is for sale, not the business. 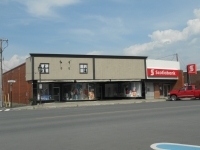 Commercial building located on the busiest street in the city of Edmundston. Ideal for all kinds of business or professional offices. Building and lot only for sale. 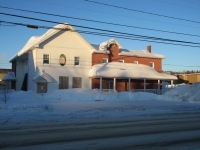 Commercial building located in downtown Edmundston with 3 commercial spaces, 3 residential apartments, two apartments with 2 bedrooms, one apartment with 3 bedrooms. Electric heating, PVC windows. Property in very good condition. Good revenues. Revenue & expenses statement on file. 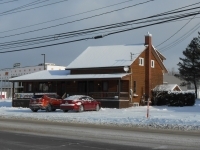 96,684 sq.feet commercial land located in a GENERAL COMMERCE C-5 zoning with 600' frontage on Acadie-Boulevard in Edmundston. 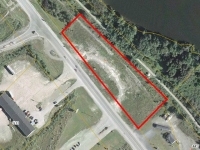 Excellent high traffic site with direct access to the Trans-Canada Highway. Ideal for any kind of business.